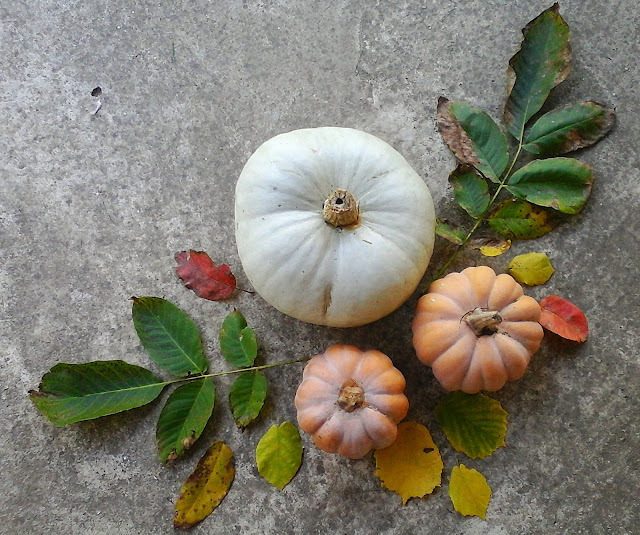 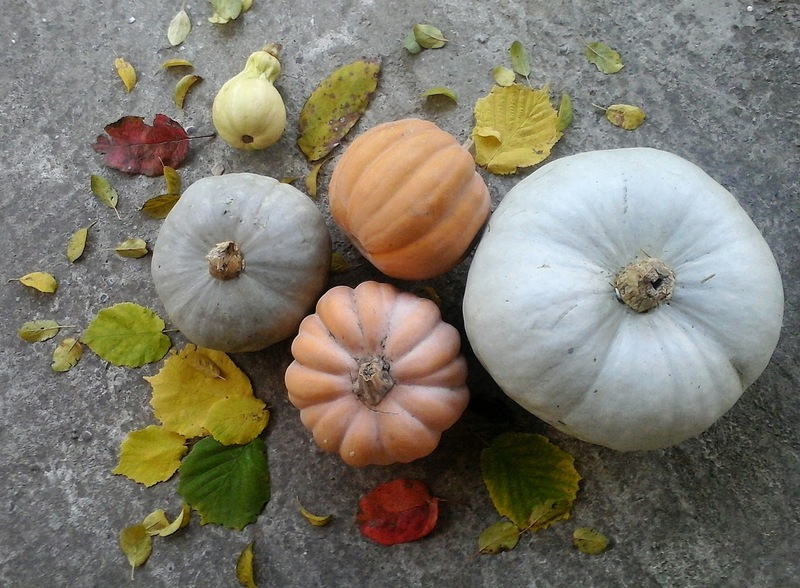 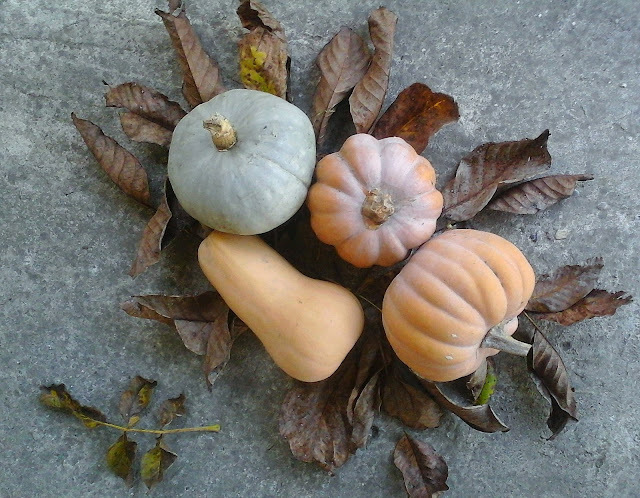 This year we had lots of pumpkins in the garden and after we harvested them I had to take some photos of these delicious plants. The garden turned to be photo shoot studio. 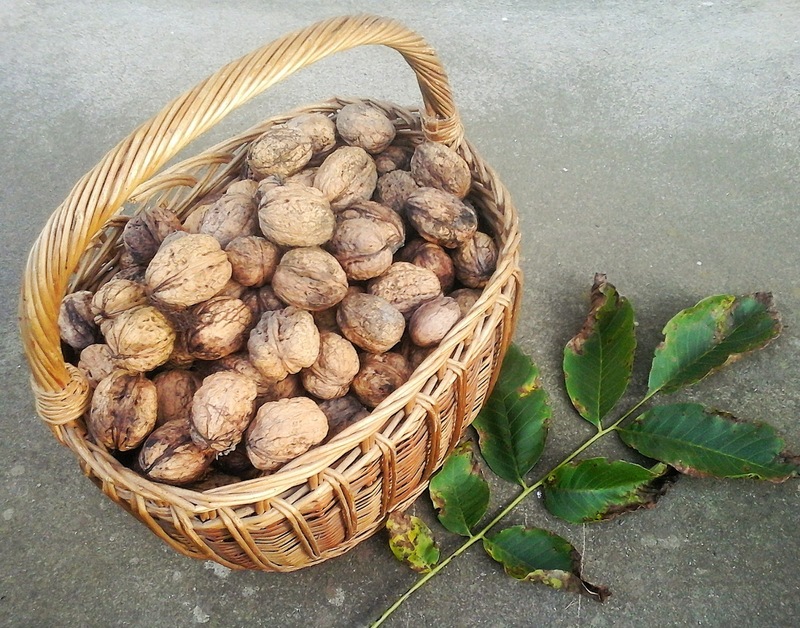 And we had lots of nuts too. 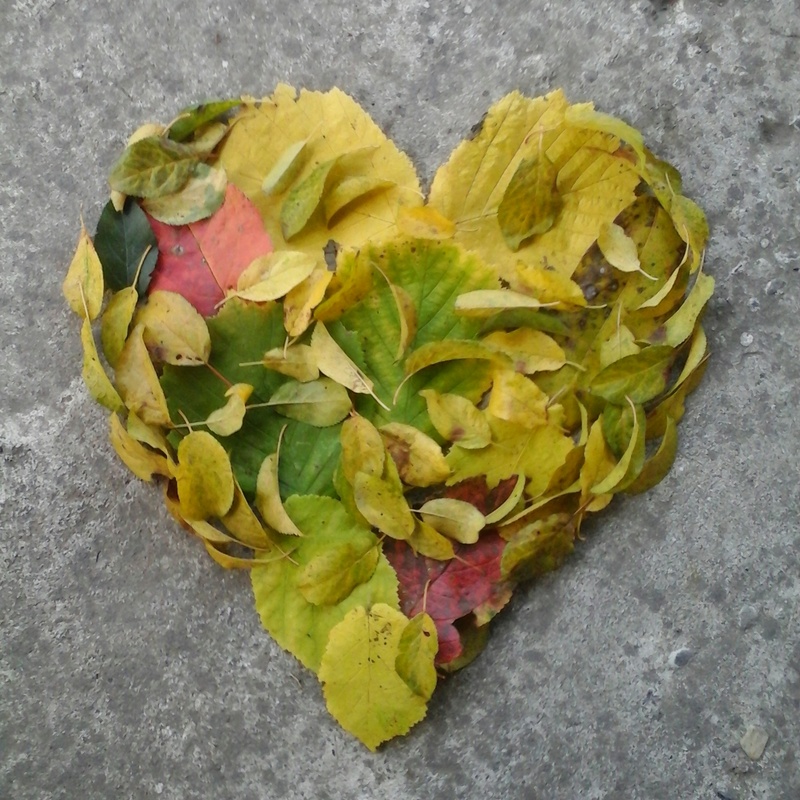 After the hard work of harvesting and taking the pictures I made a heart of colorful leaves that I'm sending to you my dear readers.